Our website is designed to serve the needs of our Club membership and to introduce our club to prospective members and interested shooters. 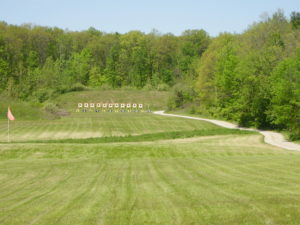 The Fort Wayne Rifle and Revolver Club supports a variety of firearm shooting disciplines. The High Power Rifle, Blackpowder, and Action Pistol disciplines host shooting competitions that are open to the public; Club membership is not required to participate in those scheduled matches. A calendar of shooting events as well as information regarding each discipline can be found on our web page links. Please see the Members page link for more information regarding Club membership. 27 USPSA Clinic 9:00 A.M.
We ask all members and their guests to PLEASE police all brass and steel casings, shotgun hulls, .22 cases and other debris. Common sense would tell one to do this, but it is also a range rule. Disregard of this rule can and will result in the removal from this club of the offending member. All of the items mentioned can act as dangerous projectiles when struck by a mower. We no longer have a dumpster on site, so please take your trash home with you. Packing one more layer of trash in an overflowing trash can just makes more work for the person who cleans up later. We will keep 30-gallon trash can liners for the cans on the covered firing points in the new white building. This range is maintained by a small handful of volunteers who do not have time to clean up after you or your friends.